Bangkok (Thailand) – October 12, 2018 (travelindex.com) – The Culture and Performance Forum is the first event of its kind anywhere in the world dedicated to the hospitality industry and focusing on exploring ground-breaking topics and practices related to the foundation of any organization, its culture, human integration and commercial performance for the purpose of enabling complete organizational greatness. Conceptualized and organized by Tareq Bagaeen, Founder & CEO of aQedina Hospitality Sales Excellence and Melkart Rouhana, Chief Engagement Officer at MRT Consultants and held at the Okura Prestige Hotel in Bangkok on the 24th of September 2018 for the first edition with the second forum already being planned and to be held in Dubai in late Q1 2019. All 90 attendees at this event were composed of General Manager’s, commercial leaders and HR/Talent heads of the best hotels in Thailand and they gained value by understanding the unmistakable link between the culture of an organization and its commercial success from a sales perspective rather than the e-commerce or electronic distribution and revenue fronts. Tareq Bagaeen is a hotelier down to each fibre of his being and a true globally oriented commercial leader. He thrives through client interactions and striking sound business deals. Throughout his career, he has held sales and marketing responsibilities whether on property or from a regional directive covering dozens of hotels and his journey has taken him to lead teams and handle clients in over 100 countries; giving him a pragmatic approach to varied cultures, economic up or downturns, monopolized or aggressively competitive market places and pushing out brands from the budget range right up to the highest spectrums of luxury. Throughout his commercial excellence journey, Tareq has trained senior associates from Rosewood Hotels, Hyatt Hotels, The Ritz-Carlton, Kerzner International, Rotana, Mövenpick Hotels, Accor and W Hotels to name a few. His philosophy is that no two people are alike, no two business units or their mother companies; as such, every single learning cycle that he has conducted is unique. Melkart Rouhana is an unshakable pragmatic leader whose Core Purpose is to Enable Greatness everywhere. He is a distinguished inspirational speaker and consultant who enables people and organizations to make sustainable change through the power of culture and human capital. 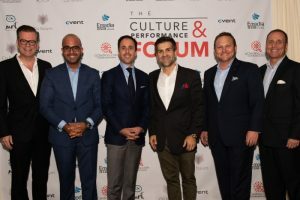 Melkart is a world-renowned culture and engagement expert and named by Porsche Executives “The Rock Star of Customer Service” and top Hoteliers as “the Engagement Magician”. Melkart held previous positions such as Corporate Director of Global Learning at The Ritz-Carlton Hotel Company; Public Speaker & Consultant for The Ritz-Carlton Leadership Center, Chief Learning Officer for Emaar Hospitality Group and Armani Hotels & Resorts to name few. He also coaches on the Executive MBA program of London Business School. Melkart’s philosophy has been recognized as foundational and been instrumental for the success of some of the most celebrated companies around the globe.